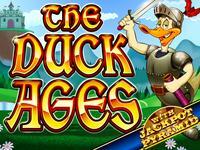 Overview: The Dark Ages were filled with knights and fair maidens, castles and moats, dragons and- ducks?! 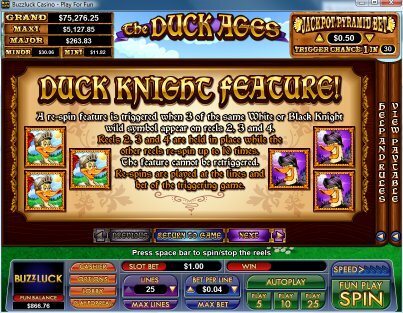 Win up to a massive 125 Free Games with all prizes doubled, or enjoy the madness of a re-spin feature when 3 of the same wacky White or Black Knight symbols appear on the middle reels. 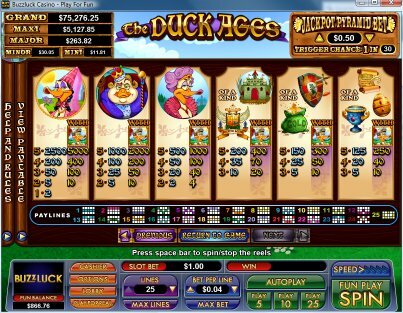 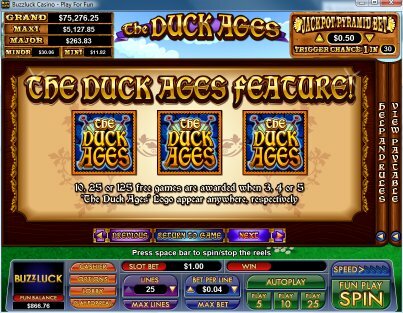 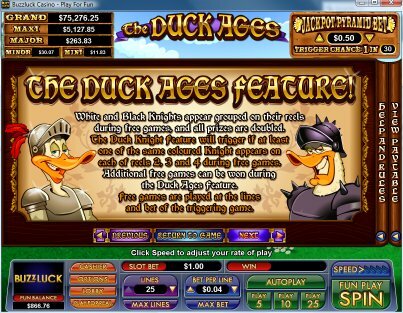 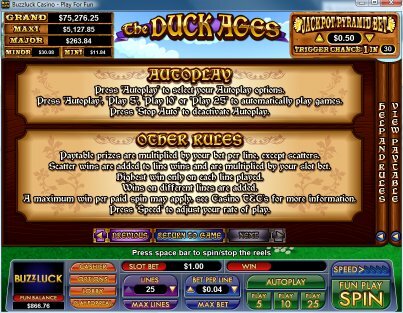 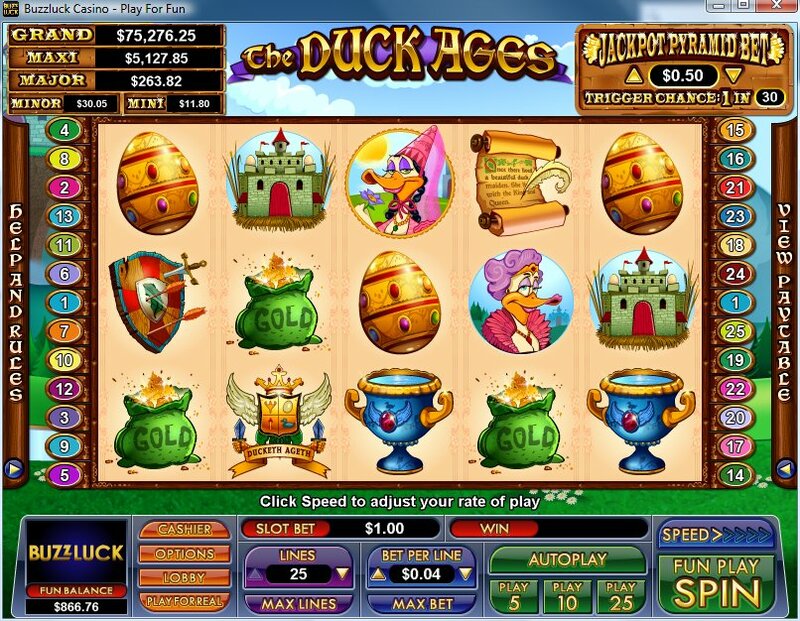 The Duck Ages has multiple random jackpots which can be won at the conclusion of any paid spin. 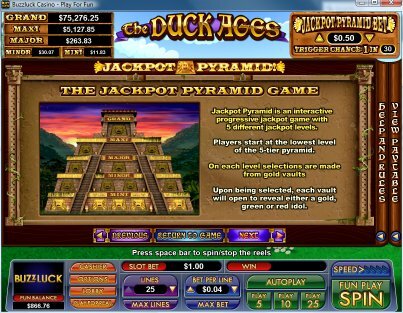 The game also includes the Jackpot Pyramid feature, allowing players the chance to climb to the top of an ancient Mayan pyramid to win one of 5 progressive jackpots. Increasing the Jackpot Pyramid bet will improve your odds of triggering the Jackpot Pyramid, up to an incredible chance of 1 in 6 spins! Online Play: This slot machine is featured at online casinos that run NuWorks software. You can try it risk-free by utilizing the free, no-deposit welcome bonuses that are offered at many NuWorks sites; if you decide to play for real, then be sure to play at a NuWorks casino that offers an initial deposit bonus of at least 100%. 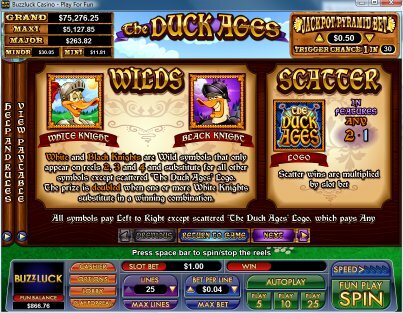 Similar Slots: If you like The Duck Ages, you might like these other slot machines from NuWorks: African Skies, Birdy Bucks, Judo Ferret, Samba!, The Champ.